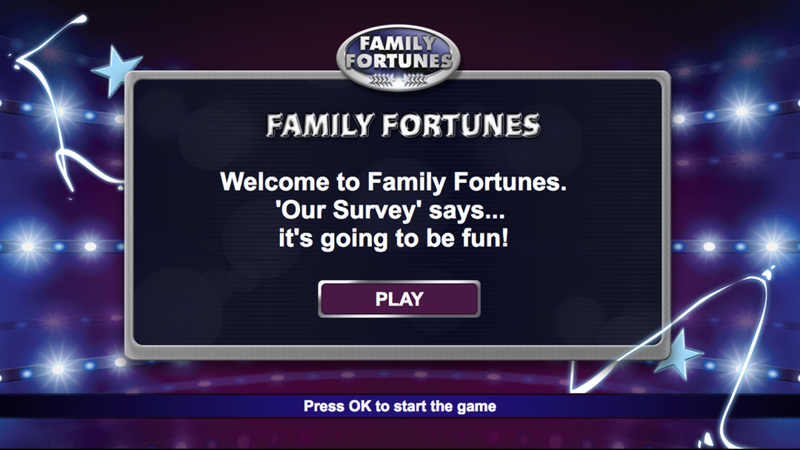 Family Fortunes is a registered trademark of FremantleMedia Limited licensed by FremantleMedia Enterprises. 100% of people wanted a Family Fortunes game they could play on their TV. So we made it! No more shouting your answers at the screen (unless you want to! ), now you can play along interactively. Modelled on the classic British word-association game show you must guess the 6 most common answers to the survey question to progress up the leaderboard, win points and collect a prize. Name something you do in a bed, something with a motor in it and something you wash once a week (and please don’t say yourself)! Double your points in the bonus round to boost your score. Family Fortunes is available to play on Virgin’s TiVo service.